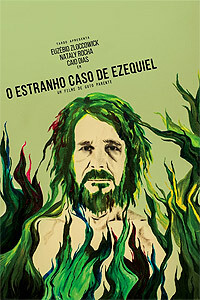 O Estranho Caso de Ezequiel (2016) - Sci-fi-central.com. Brazil  2016  71m   Directed by: Guto Parente.  Starring: Irene Bandeira, Caio Dias, Armando Praça, Nataly Rocha, Euzébio Zloccowick..
After the sudden death of his wife, Ezequiel lives sad and resigned in solitude. Until the day that an extra-terrestrial being appears in his life and changes the color of his destiny.